Art Vuolo has become radio’s unofficial chronicler, making it his business to record the industry’s great moments for posterity. He estimates that he has 6,000 audio cassettes representing over 10,000 hours of radio broadcasts, plus about 300 hours of video. 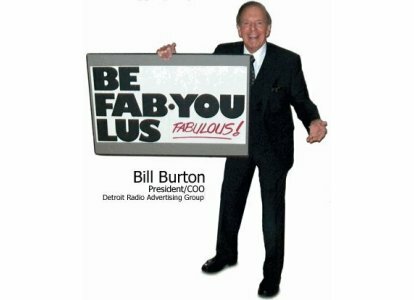 You will find pages and pages of DVDs for sale showcasing legendary radio personalities, conventions and UM football. 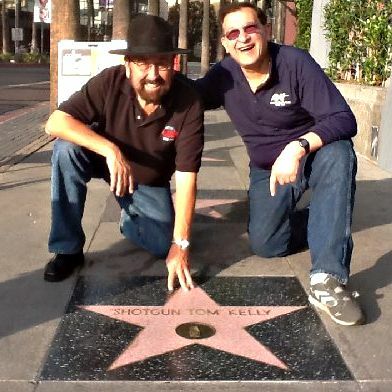 Art Vuolo with the iconic Shotgun Tom Kelly – Hollywood Walk of Fame star! In 1977 Art Vuolo saw a B&W ¾” videotape of a color 8mm film taken by the legendary San Diego personality, Shotgun Tom Kelly. The film, which was actually a “video presentation” for KFMB-FM “B-100,” was shot in 1976. Vuolo was dazzled. He thought “Wow . 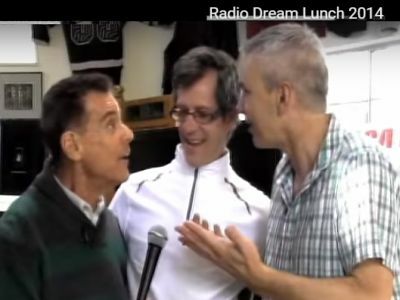 . . a video aircheck, what a concept.” This offered a chance for people to SEE what goes on in a radio studio while air personalities are actually on-the-air! That did it. Back in April of 1978 Art borrowed a crude early edition color TV camera, hooked into an industrial Sony Beta deck with BI speed only and taped his first video aircheck at Indianapolis’ legendary Top 40 radio station 13/WIFE. 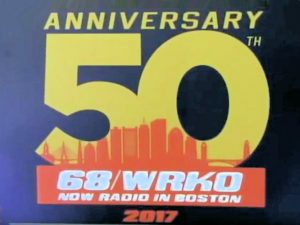 Similar to the B-100 video, the WIFE tape was a video tour of the station featuring key employees and all of the various jocks actually on-the-air. It included: Danny McGuire in the Morning (aka Ron Fraiser), Steve “Super Cooper”, Diane Shannon, Thom Christy and Jerry Steele. It was the beginning of an era. It was the start of Vuolo Video Air-Chex. Now it’s easy to order as many as you want on Art Vuolo’s Video website. 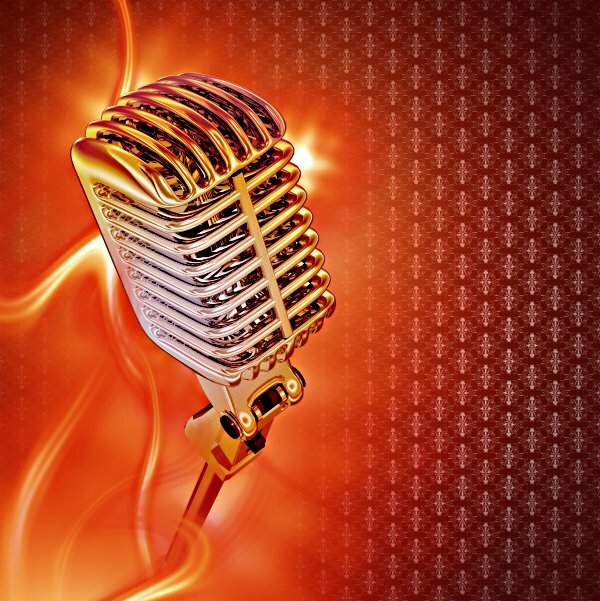 This site includes many sensational “moments” in radio history both on audio and videotape. Enjoy your visit and I hope you find something you would like to have in your personal collection.